Daredevil season 3 is not that far away. Netflix has really hit a groove where multiple of the Defenders series can come out in the same year. 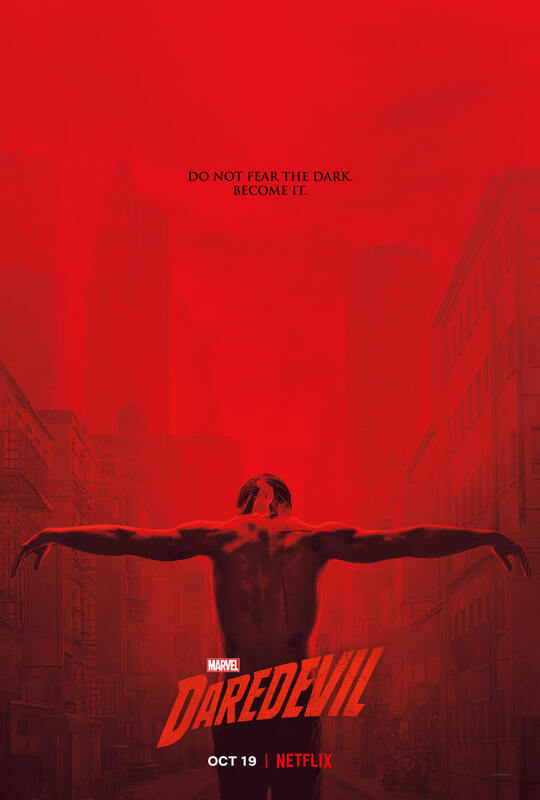 Season 3 for Daredevil will debut on Netflix on Oct 19th. My personal favorite of the 4 Defenders heroes and Punisher is Daredevil. The 2 Daredevil series so far have been the most consistent in quality. Daredevil 3 will take off effectively where Defenders left off. Daredevil fighting the hand had a building collapse on him but some how survived. We see him being nursed back to health by Nuns. Comic fans will recognize the imagery of those scenes from the famous storyline called Born Again which season 3 is expected to take some inspiration from. Are you ready to show your Daredevil love. Watch Daredevil like a true fan with some Daredevil Threads. At NYCC Erik Oleson the shows Executive Producer and Showrunner was asked about how the show will approach Bullseye and he had this to say about the characters origin. 1) There is going to be much more focus on Daredevil than Matthew Murdock the Lawyer style of drama. In some sense this season seems to be digging into themes of Daredevil Season 1. 2) After the Defenders the Hand is gone the villain focus here seems to be the Kingpin and Bullseye. 3) Bullseye vs Daredevil is being set up strong with Bullseye pretending to be Daredevil to set him up as a murderer. That final moment in the trailer "Who are you?"....... "I am Daredevil" yeah that gave me some chills. 4) Seems to get back to season 1 vibe there is no set up of Defenders or introducing a character like the Punisher. The other Defenders also seem to be absent. Marvel and Netflix have begun releasing promos for the third season and it promises to take Matt on an even darker journey.